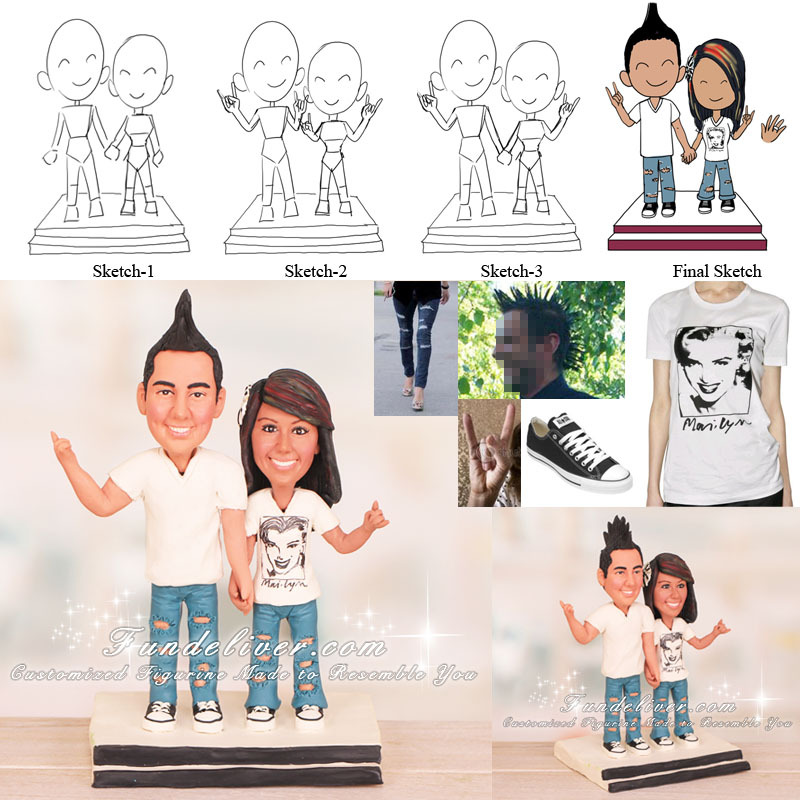 This is a completely customized fashion couple with groom in Mohawk hairstyle wedding cake topper ordered by one of our customers. 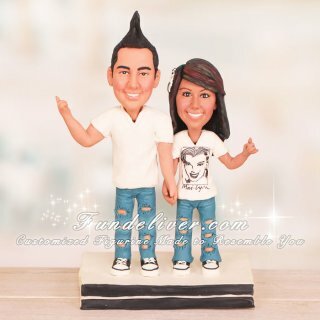 They would like the bride and groom figurine to be in Jeans, both with black and white Chuck Taylor shoes, standing side by side, doing the rocker bull horns hand gesture . The groom is 6'3, wearing solid color V-neck. His hair is black with the Mohawk up. The bride is 5'1, wearing fashion shirts with Marylyn Monroe on. Her hair is dark with red highlights. They both love concerts, so we designed a white and black stage to have their figurine standing on.